Come to Finland: Paradise calling! Finland has always been a glamorous, cosmopolitan and open country! Are you cheering? Or maybe you doubt it? 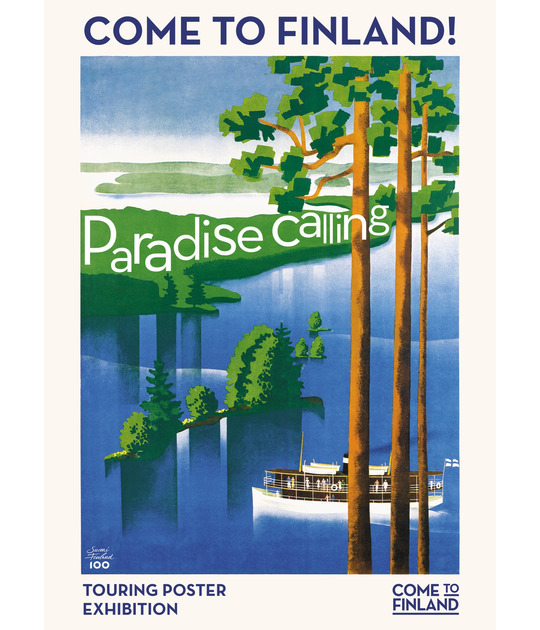 In any case, the exhibition Come to Finland – Paradise calling is for you. Through original vintage travel posters Finland’s long journey from an unknown Russian principality to the Land of Romance is displayed. It’s colorful and cosmopolitan. Funny and insightful. Educational and extremely visual. 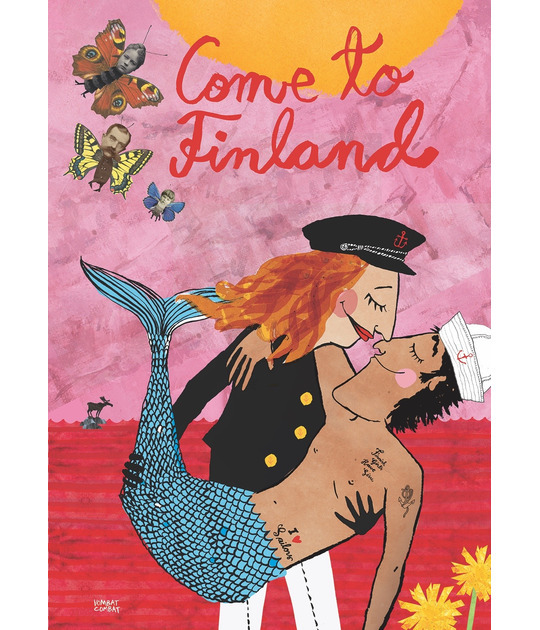 For ten years we have searched for Finnish travel posters all over the world. We have seized every gem, foremost from the 1930’s and 1950’s, that we have been able to acquire. Now these gems – this forgotten Finnish cultural heritage – can be shown to the world. And you know what? We dare say that you haven’t seen Finland this cheerful and colourful before. And there’s more! How would contemporary artists depict the Finland of today? We could not let that thought go, so we asked a group of graphic designers and artists to create modern Finnish travel posters. We also arrange an international travel poster contest each year. As you can see we do have an important mission: to give new life to poster art. So that Finland, once again, can attract travellers with glamour and calls of joy from paradise. The exhibition has toured in Finland – including the National museum of Finland – and in Germany since 2016, creating smiles everywhere it goes. On these pages you’ll find video clips, technical data and background information. For bookings and more information, please contact the producer, Magnus Londen.